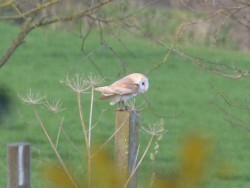 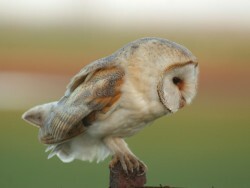 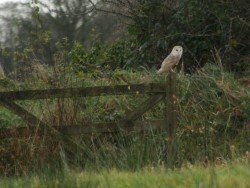 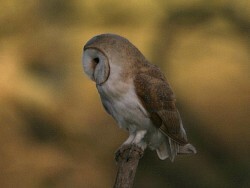 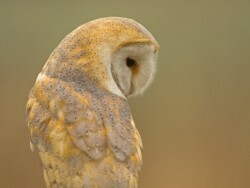 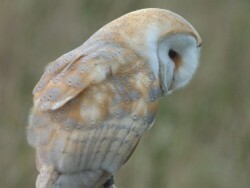 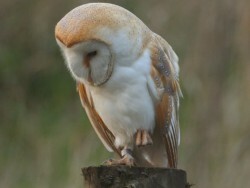 Photos of Barn Owls perch hunting in the wild. 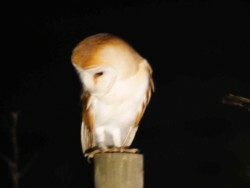 In very cold weather, Barn Owls are more inclined to use perches such as fence posts to hunt from rather than hunting from the air. 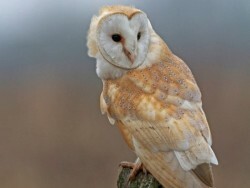 This saves energy that would be used in flight and reduces heat loss (a flying Barn Owl loses a lot more body heat than a perched one).